OK – cards on the table, I’m a Spurs fan. So perhaps I have more reason than the average person for investigating food and drink options on industrial estates around White Hart Lane. But since they aren’t even playing there next season, you can trust me when I tell you that the backstreets of Tottenham are the next big thing. Spurred on (get it?) by Beavertown Brewery, and other successes up north (along with the ease of the Victoria line), Londoners are starting to take notice of the treats on offer around Seven Sisters. I recently checked out three exciting spots on a sunny Saturday afternoon, starting with Craving Coffee. 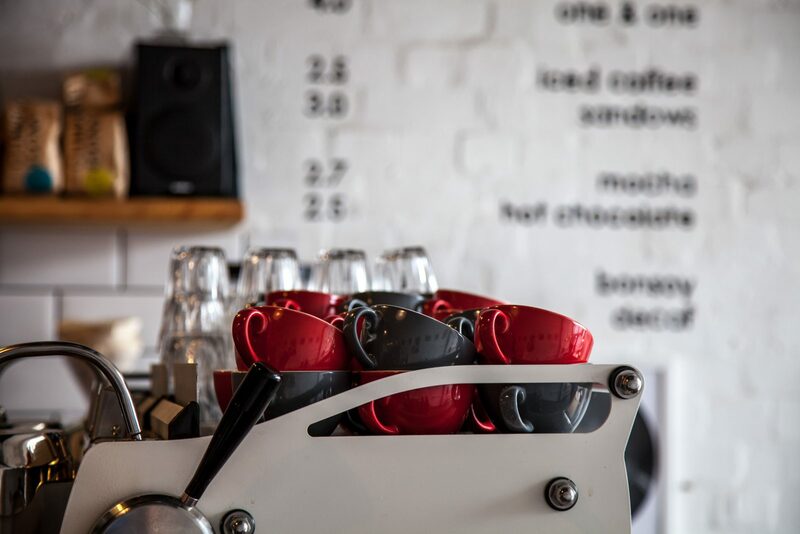 In a smart space in Unit 3 of Gaunson House, Matt and Rachel Ho run a stylish and independent cafe with speciality coffee, cocktails, craft beer, and superior seasonal food. The kitchen is open daily until 4pm, so we’re mostly talking about lunch and brunch. But it’s also worth noting that every Thursday to Saturday, their “Tottenham Social” pop-up sees street food traders take over the cooking duties in the evening. I went along for a mid afternoon coffee, and ended up ordering a wonderful bowl of red lentil daal with dukkah and charcoal sourdough – beautifully seasoned and spiced, and a really decent portion for £7. My pal was equally fond of his plate of flaked Ortiz tuna, with pickled salsa, Catalan ragu, a boiled egg, and toasted sourdough, for just £8. Elsewhere on the menu, there’s an “Osaka” omelette with beansprouts and sriracha, espresso pork belly, and more that comes in at under £8, making this a great place to visit with friends and fill up on a London Cheap Eats budget. There are also decent drinks options, including local beers from the likes of Redemption, Beavertown and Affinity, plus barrel aged negronis, cold brew mocktails, and of course, superior coffee using Climpsons & Sons. Keep an eye out for their mobile coffee cart which makes appearances at Tottenham Green Market amongst other places. Speaking of Affinity Brew Co, their shipping container brewery is just over the road from Craving Coffee. Two man team, Ben & Steve, recently began brewing a variety of intriguing beers in close quarters, starting with their signature 3.8% saison Breeze. It’s a result of head brewer Steve’s love for Belgian yeast, and features lime zest and coriander seeds. Look out also for Toowoomba, a lamington-cake inspired stout with raspberry, coconut and cacao, and the superbly named Chineapple Punks, an oak smoked wheat with pineapples. The artwork by Tida Bradshaw is something to behold, especially on their stylish silver cans which launched in June at Clapton Craft – you can see a couple of the designs below. Whilst you might spot a few gleaming gold taps in the photos, the shipping containers don’t double as a bar, but a little birdie tells me that a tasting room might be secured soon. In the meantime, the best place to drink their beers is a stone’s throw away, at Five Miles. UPDATE : Affinity Brew Co have since moved to Bermondsey! You can find them at 7 Almond Road, SE16 3LR, in one of Partizan’s old arches. Five Miles is a spacious bar and club with 7-day 4am late license, and magnificent interior design – I got a bit snap happy as you can see. There are 20 taps on show, five of which are currently reserved for Affinity beers. The rest offer a mix of craft beers and very affordable tap cocktails, including negronis and palomas. My kind of bar. The minimalist club space is in a separate sound proof room, so if you are just in the market for drinks, you won’t be disturbed. That said, every Sunday is Bring Your Own Vinyl day – dig out a record for them to play from your collection, and you’ll be rewarded with a beer on the house. My kind of bar – did I say that already? There’s no kitchen to speak of, but they do put on a BBQ most Saturdays with guest grillers in the front yard. For the rest of the week, just stroll over to Craving Coffee or LOVENpresents for a good feed. Tottenham’s got you covered. N.B. We didn’t make it to LOVENpresents pizzeria x bar x art space round the corner on Norman Road, but it looks great so check them out.